Thomas Edison said that genius is 1% inspiration and 99% perspiration, but in the case of this recipe and the brilliant prep method involved, we're going to have to disagree with ol' Tommy boy and say it's the other way around! If you're gearing up for BBQ season and want to impress all your friends with some tasty grilled skewers, this clever hack and delicious recipe is the way to go. 1. Finely chop the beef and mix it together with the grated onion, egg yolk, cilantro, paprika, salt, and pepper. 2. 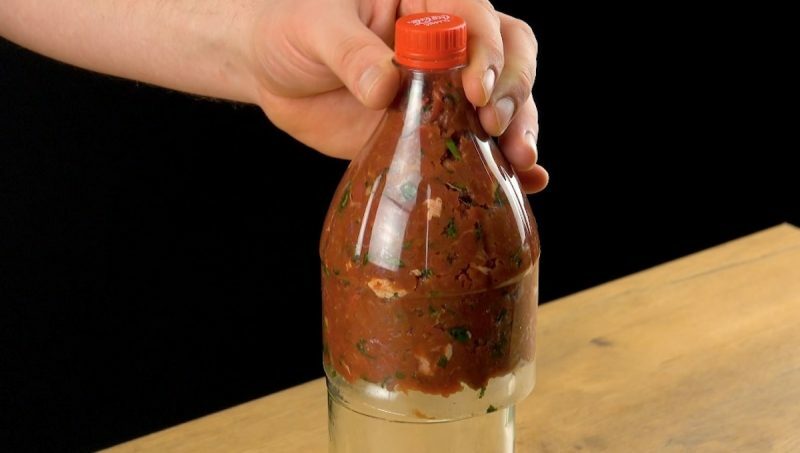 Cut the plastic bottle in half and fill the top part of the bottle with the meat mixture. 3. Take a tall glass with a diameter slightly smaller than that of the bottle, and place it upside down on your work surface. 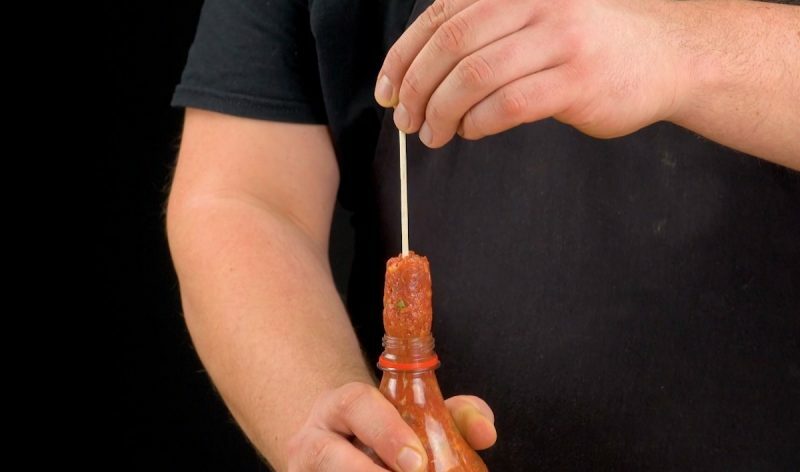 Place the bottle neck filled with meat over the glass. 4. 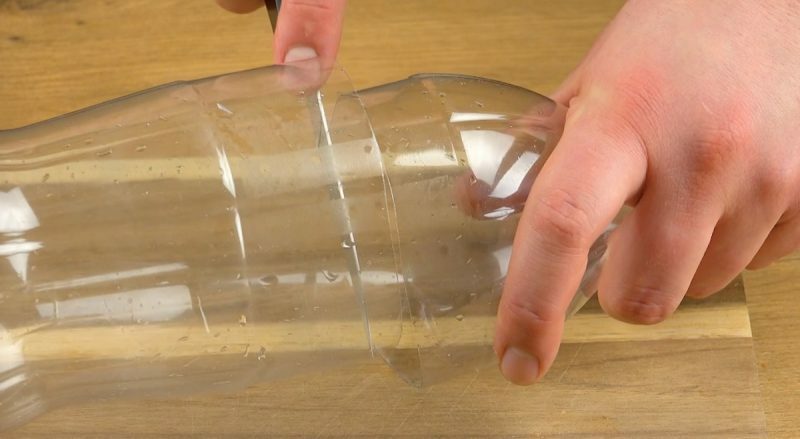 Unscrew the lid, insert a 10-inch wooden skewer, and push the bottle down over the glass. The meat will come flowing out and all you have to do is gently pull the wooden skewer to the side when the shish kebab is the desired length. 5. For plain kafta, put some oil in a pan and fry the shish kebab until golden brown. 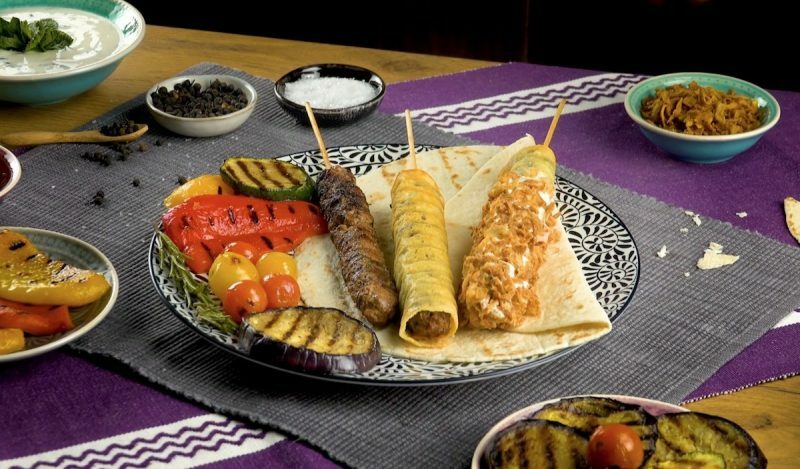 For cheese kafta, place a slice of cheese in a dry pan, and once the cheese starts to bubble, place the shish kebab on the edge of the cheese slice, and roll it up. 6. For crispy onion-coated kafta with mint yogurt sauce, first fill the lower half of the plastic bottle with yogurt, mint leaves, salt, and pepper. 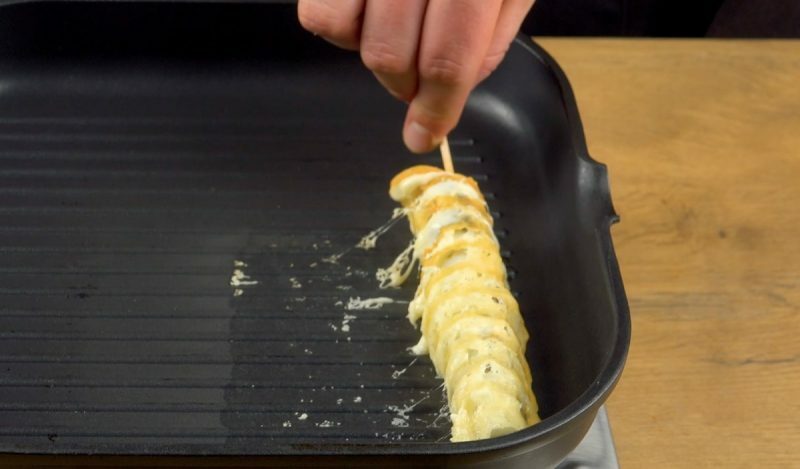 After wrapping the shish kebab in cheese, dip it into the mint yogurt sauce and then roll it around a bed of French fried onions until fully covered. Serve the skewers with grilled eggplant, peppers, tomatoes, and zucchini for a true Lebanese treat! You can find the recipe for the Bacon & Cheese Meatball Skewers featured in the bonus video here.